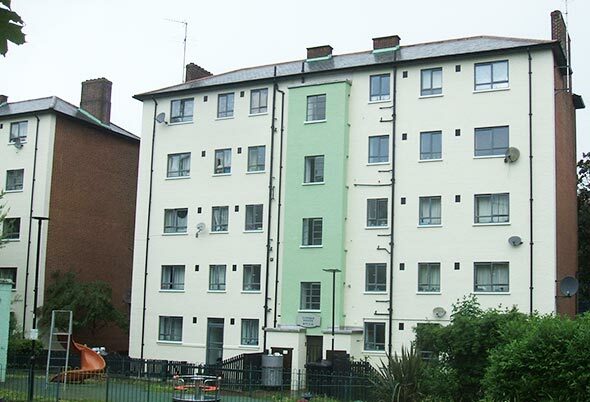 Asset Fineline were employed by Mears Projects to undertake the replacement of existing steel windows in 16 blocks of 5 storey properties owned by Islington Council. Local planning and building design conditions required the window frames to be manufactured from Aluminium to match local architecture and compliment the style of the buildings in the estate, which whilst not in any conservation area does border the neighbouring Tufnell Park conservation area. 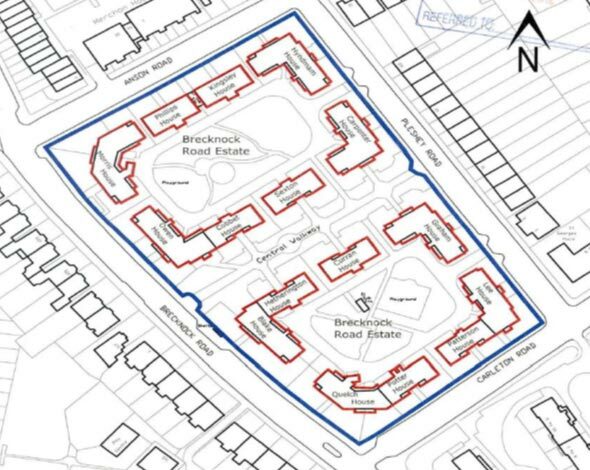 Brecknock Road Estate is a Locally Listed Heritage Asset (with the London Borough of Islington). This status made it all the more important to come up with a window profile that would keep the design flavour of the original. 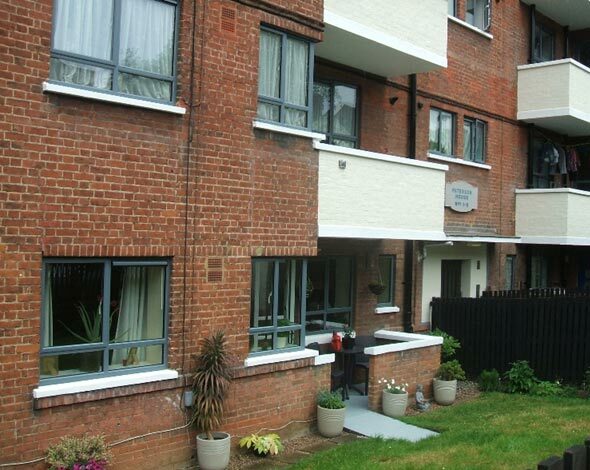 The planning application to replace the existing single glazed windows with double glazing was straight to the point, stating “the proposed double glazed units will be better for residents in terms of thermal capacity and noise insulation and therefore improve their living environment”. Just as critical to the residents was the aesthetic design of the window including exceptionally small sight lines to provide as much light as possible and it was critical that the windows and doors aligned throughout all the 16 buildings creating a harmony in design. 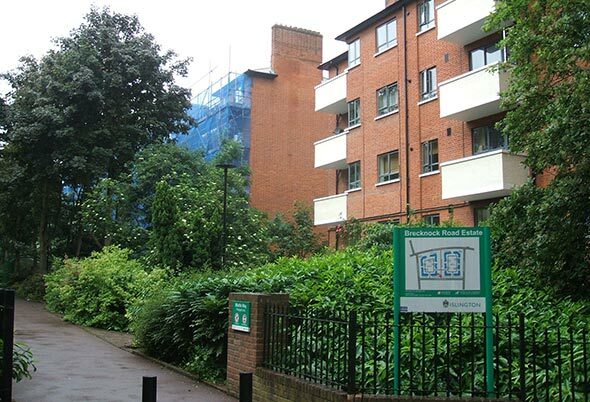 There were over 4 years in the planning process and as a long-standing supplier to Islington Council, Asset Fineline were the contractor of choice. The 190-property project was undertaken over the course of 18 months and was completed in accordance with the agreed programme. Due to its complex nature, the project itself required an increased level of liaison and communication with all key stakeholders involved in deciding the programme combined with all the practical aspects of window style and design. 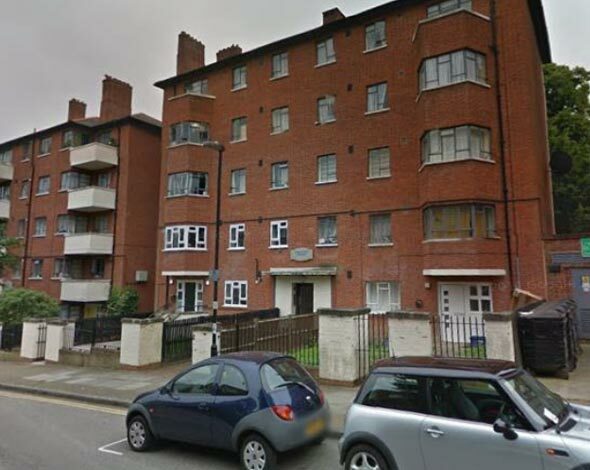 This therefore required a technically competent and design led approach in full consultation with Islington Council, Mears and the Resident Representatives throughout. A key aspect of the successful delivery of the project when on site was that the agreed design solution at planning and consultation stage was then carried out successfully to the letter at survey and installation stages. 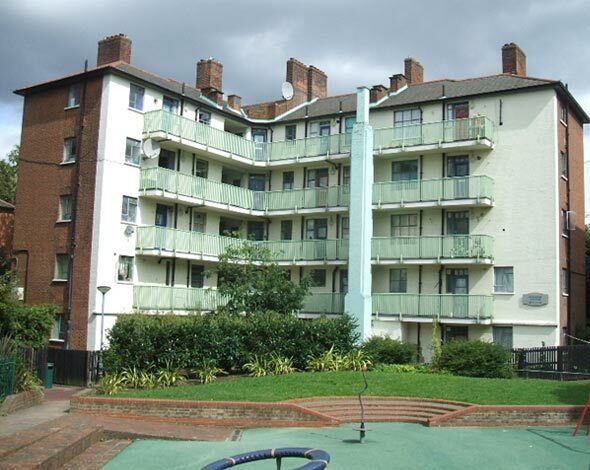 A great deal of attention necessary to ensure the scheme requirements were met. 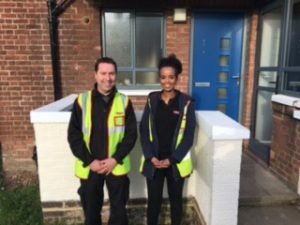 Islington Council through its relationship with Agility Energy were able to secure funding for the scheme under the Energy Company Obligation. To meet the criteria set under the ECO obligation all installations must be undertaken by a PAS 2030 approved company. Asset Fineline have been approved since 2013 and remain one of the few window companies who continue to hold the PAS 2030 certification. ECO funding eligibility and PAS 2030 installations.